March 2014 – what will you do now? Having discovered the resident assistant in your dorm dead- murdered, clearly!- you immediately take on the role of amateur detective! For a whodunit, though, there was not much in the way of finding things out, more of just finding things. The PC’s motives were also not very clearly explained, which was sorely needed to justify the story and suspend disbelief. There are multiple endings, so some thought went into the branching of the story, but I still found the events a tad puzzling, even with the revelation at the end. It’s not a bad beginning; I hope the author continues to write games and hone her writing skills! By Samantha Vicks. Playable here. You are Casey Cama, an intern in the moon base of Sadler Labs. You just realise that one of your test subjects- a moon salamander- has escaped and if you’re fast, you can get it back before your egomaniac of a boss, Bill Gallo, catches it. But the computer system is behaving strangely, and as you go on the trail of your salamander, you discover evidence of a devastating cover-up. Despite some slight inaccuracies and misspellings here and there, the story was engaging and well-written. The puzzles were mostly straightforward, with clear textual and contextual hints; this kept the story going at a brisk clip. The heart of the story, however, emerged fully only in the later half, and especially in the endgame. 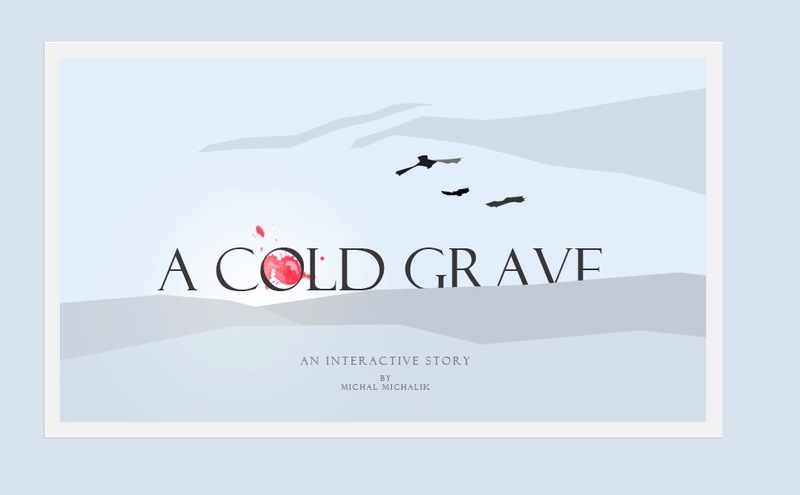 This Twine game was smoothly and cleanly implementated, with only a few bugs and boasts a navigation system more often seen in parser-based games. The Axolotl Project is moderately long and fully enjoyable, but with enough emotional content to veer the game away from frivolity. Playable here. Hosted on philome.la, a free host which only requires the author to have a Twitter account for publicity purposes. This Twine creation is best described not as a game, but as a minimally interactive public service announcement. In it, you play… yourself, probably, during an average day at work. Almost all decision-making points present you a choice of a variety of named online services- GrubHub, Uber and Buzzfeed being some of the names mentioned- to get through the day. After making the choice, it mentions, almost smugly, how much information that choice reveals about you. Some might say this game was deliberately made generic so that the average player could relate to the events described. However, the game is so non-specific, it seems more like a widget than a true telling of a story. Even if it intended to reveal the true extent to which we reveal our personal details to faceless corporations, then the one-size-fits-all ending surely defeated it. The result is a somewhat starchy moralistic illustration- not even a tale- of privacy wrested from us. This game could have been made into something with a clear call to action, or even an exploration of the pros and cons of giving up your privacy to conglomerates. Its scope could have been broadened to the privacy we do not voluntarily relinquish. It could even have been made into a government conspiracy thriller, because those seem to be in the rage nowadays. This game could have been much more, but the authors seemed content to stop at the moral of the story without actually telling much of a story. By Mike Michalik, playable here. In this visually compelling work, you are a psychic detective called to the side of a body. A familiar body. A body you used to inhabit. The man alongside you, the detective, is an old friend, and he calls on you to use your abilities once more to figure out what happened. The strongest point of this game has to be the brilliant use of the visual interface that Twine offers. To elaborate might be to give away spoilers, but I thought his use of visuals really added to the atmosphere of the game. A pity it was so short, though; the story appears to be rich in unspoken backstory, though some branching means the game is suitable for a few replays. I must say the ending confused me, since I could not find a point where the events or description hinted to that. Set in New Caldonis, an overindustrialised city along the lines of China Mieville’s New Crobuzon, you play Miranda, a young scientist, who wakes up in a boardroom with an assassin on her heels. The game immediately launches into action sequences which would not feel out of place in a movie, though the density of text in some scenes broke the rhythm somewhat. Still, for a game which advertises itself as a fast-paced, adventure thriller, which initially seems a tad much for a debut game, it is technically excellent and very well implemented. Progenitor’s Folly could be considered almost a genrebreaker for Choicescript games. For one, it eschews the ‘personality questions’ which are commonly used to establish the character’s stats. Instead, it plays more like so-called ‘traditional’ IF. As short as this game is, it is heavily story-based. There is not too much in the way of characterisation, nor in setting the scene. Is this a weakness? Maybe. One must get one’s expectations right. Despite some tiny spelling/language mistakes here and there, Progenitor’s Folly is a promising start for what the author says is a planned trilogy.